Dr. Kevin France is an Assistant Professor in the Department for Astrophysical and Planetary Sciences as well as an investigator within the Laboratory for Atmospheric and Space Physics at the University of Colorado, Boulder. He received his bachelor’s degree in Physics and Astronomy from Boston University, and he was awarded his Ph.D. in Astrophysics from Johns Hopkins University. Afterwards, Kevin conducted research as a postdoctoral fellow at the University of Toronto. 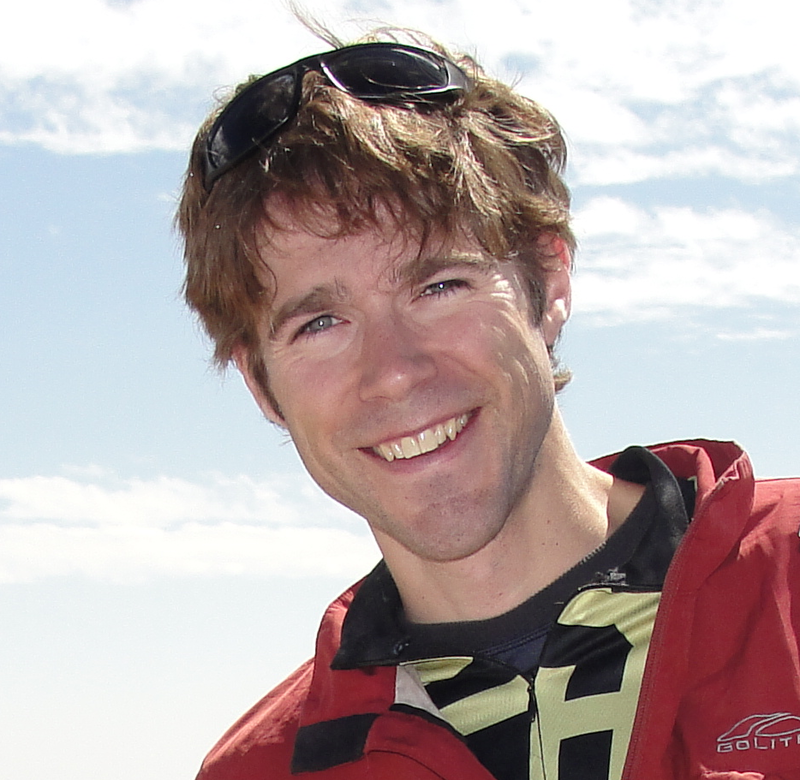 He next worked as a Research Associate and Fellow at the Center for Astrophysics and Space Astronomy at the University of Colorado, Boulder, and during this time, Kevin was awarded the NASA Nancy Grace Roman Technology Fellowship. Kevin joined us to chat about his work as well as his life outside the lab. Kevin spends his free time enjoying an outdoor lifestyle living in the Rocky Mountains in Colorado. His hobbies include hiking, skiing, biking, trail running, and spending time with his wife and 9-month old baby. Kevin’s research focuses on improving our understanding of planetary systems outside of our own solar system. His research helps determine how the earth was formed, how it came to look the way it does, and how it fits into the broader perspective of planetary systems throughout the galaxy. Kevin also does laboratory and space mission work to develop the technology that will allow them to answer these questions. Upon entering college, Kevin wasn’t sure what he wanted to study. He enjoyed learning French and had a great teacher in high school, so he considered majoring in French. At the same time, he began taking classes required for a physics major, including a freshman astronomy class. During an observing session using small telescopes, Kevin was struck by the sight of Saturn and its remarkable rings. This, combined with a research experience working at the White Sands Missile Range on a sounding rocket launch, convinced Kevin that astrophysics was the right choice for him. One challenge Kevin faced in graduate school was transitioning into making more decisions about his career and facing concerns about whether he could make it as a scientist. Later, when he was searching for a permanent position, Kevin received an offer for a faculty position, but it didn’t seem like the right fit. Against advice from a lot of people, he didn’t accept the job. About six months later, he and his wife bought their first house, and Kevin was notified that he didn’t get a big grant he had been counting on. At this point, things started falling apart. Kevin was sure he had made a career-ending mistake in turning down that faculty job. Kevin and his colleagues are currently building a satellite for NASA called CUTE (Colorado Ultraviolet Transit Experiment). This satellite will observe nearby gas giant planets called hot Jupiters that are orbiting really close to their parent stars. These planets are heavily irradiated because of their close orbit, and this causes their atmospheres to escape from the planet. With substantial amounts of escaping atmosphere, these planets can form comet-like tails that drag behind them as they orbit. CUTE will capture images and spectra as these planets cross in front of their parent stars (transit). Kevin’s team can use this data to determine how fast the planets are losing atmosphere, what the atmospheres are made of, and other important characteristics. The science is exciting, and this project is also great because both undergraduate and graduate students play an important role in contributing to its success. A few years ago, Kevin traveled to a conference held about four hours south of Kolkata, India on the Ganges River. They traveled by bus from the airport to their destination which was an old, historic fort off-the-beaten tourist path. Another exceptional travel opportunity brought Kevin to Venice to celebrate the 20th anniversary of the Hubble Space Telescope. There was a phenomenal concert as part of the conference that featured an octet playing in a 16th century monk’s art studio, and it was the most beautiful room Kevin had ever visited. While in Venice, Kevin and his fiancee enjoyed walking around the city, admiring the architecture, and a seeing the sights on a romantic gondola ride. When he was in graduate school at Johns Hopkins, Kevin was the drummer in an all-graduate student rock band. They played once or twice a week in bars all over Baltimore. Though they weren’t the best band to grace the stages of Baltimore, it was an excellent way to have fun and relieve stress. Kevin still plays drums today and hopes to one day get another band together. Don’t undervalue the importance of hard work. If you continue to work hard, you can probably do anything that you don’t think you can do. You have to stick it out and have grit. Kevin grew up in West Virginia before moving to Boston for college. After another few years of academic nomadery, he settled at the University of Colorado in Boulder where he lives with his wife (a novelist), son (a crawler), and aged Tibetan Spaniel (a meditator). Currently, Kevin is an assistant professor of astrophysics and planetary science at CU. Outside of work, Kevin spends as much time as possible traveling with his family or in the mountains and high plains of Colorado. When he is at work, Kevin’s research focuses on exoplanets and their host stars, protoplanetary disks, and the development of instrumentation for ultraviolet astrophysics. He was a member of the Hubble Space Telescope-Cosmic Origins Spectrograph’s instrument and science teams, a member of the LUVOIR Science and Technology Definition Team, is a regular guest observer with Hubble, and is the principal investigator of NASA-supported sounding rocket and small satellite programs to study exoplanet atmospheres and flight-test critical path hardware for a future UV/optical missions.